Sparkling clean dishes couldn't be easier with practical and efficient Kenwood KDW60W15 Full-size Dishwasher. You can get everything looking brand new thanks to the KDW-60W15, with eight programs to take the hard work out of dirty dishes. With 12 place settings there is plenty of room to wash everything. Cleaning after meals is simple thanks to the normal mode, whilst burnt-on food is easily shifted with the soak and intensive programs. There is also a half load function that lets you wash a smaller amount of dishes, helping to reduce water consumption. There's plenty of features that make the KDW60W-15 an excellent choice for your kitchen. 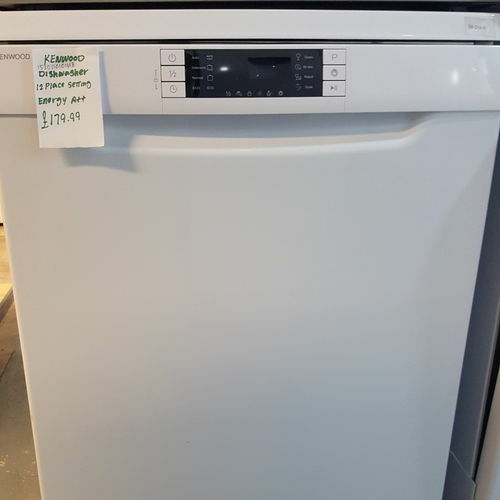 As well as the modern and stylish design, this dishwasher has an LED display that makes it easy to view the program setting. There is also a delay timer that allows you to start a load at a specific time letting you fit washing up around your schedule. 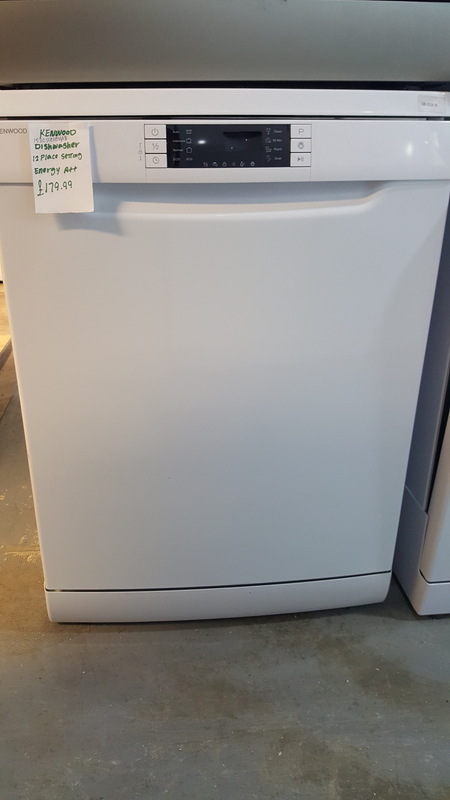 You won't have to worry about your energy bills either, as this dishwasher boasts an A++ energy efficiency rating, which is great news for both you and the environment. Perfect for busy households, the Kenwood KDW60W15 Full-size Dishwasher is an efficient way to tackle the dishes.